It only seems fair that if a doctor causes an injury to a patient, the doctor should have to pay for his/her mistake. However, the reality is not that simple. Doctors pay lobbyists millions of dollars each year to keep their liability limited under state medical malpractice laws, and Florida is no exception. In addition, there is movement at the federal level to impose limits on the amount of damages health care providers would have to pay in malpractice suits against individuals covered by Medicare and veteran’s benefits, among others. Unfortunately, the mere presence of an injury following medical treatment is not enough to prove the doctor was negligent. Florida law requires an injured patient to show that the doctor breached the professional standard of care, and that the breach led to the injury. While doctors want to discourage patients from filing lawsuits to hold them responsible for injuries, malpractice occurs on a regular basis, and legal action should always be an option. However, before legal action can start, it must first be determined if the doctor’s inappropriate actions are legally actionable. the reasonable alternatives to the proposed treatment, including doing nothing. Note that signing an informed consent form does not automatically mean the doctor is off the hook. The form may lack all the necessary information or the doctor may have failed to adequately explain all the relevant information. In the same vein as lying, if a doctor withholds information that leads to a patient’s injury, the doctor could be liable for malpractice. 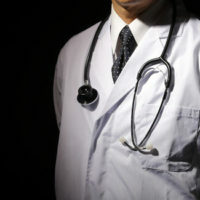 For example, if a doctor failed to tell a patient about an abnormality noticed during testing, and proper treatment for a life-threatening condition was delayed as a result, the doctor may have committed malpractice. Withholding information also comes up in cases involving a failure to diagnosis, which typically occurs when doctors dismiss symptoms or test results that should have raised red flags, and the severity of the disease or condition is allowed to worsen as a result. What about a Negligent Hospital? Finally, most people realize that a doctor can be sued for malpractice, but what about the hospital and other staff members? These entities and individuals may also be liable under similar legal theories applied to doctors. In fact, hospitals can be liable for malpractice, but not the treating doctor, in certain situations. This scenario can occur if, for example, medical support staff administers the wrong medication to a patient, fails to perform routine patient checks, or fails to properly tag the correct blood type on blood designated for transfusions. If you believe you suffered an injury due to a doctor’s negligent care, talk to a medical malpractice lawyer as soon as possible. Medical malpractices cases are complex and take considerable time to put together and litigate, so the sooner you start the process, the closer you will be to holding the doctor accountable. The Miami law firm of Pita Weber Del Prado has the necessary experience in these matters to build a strong case, and is available to evaluate the merits of your claim. Contact us today for a free consultation.